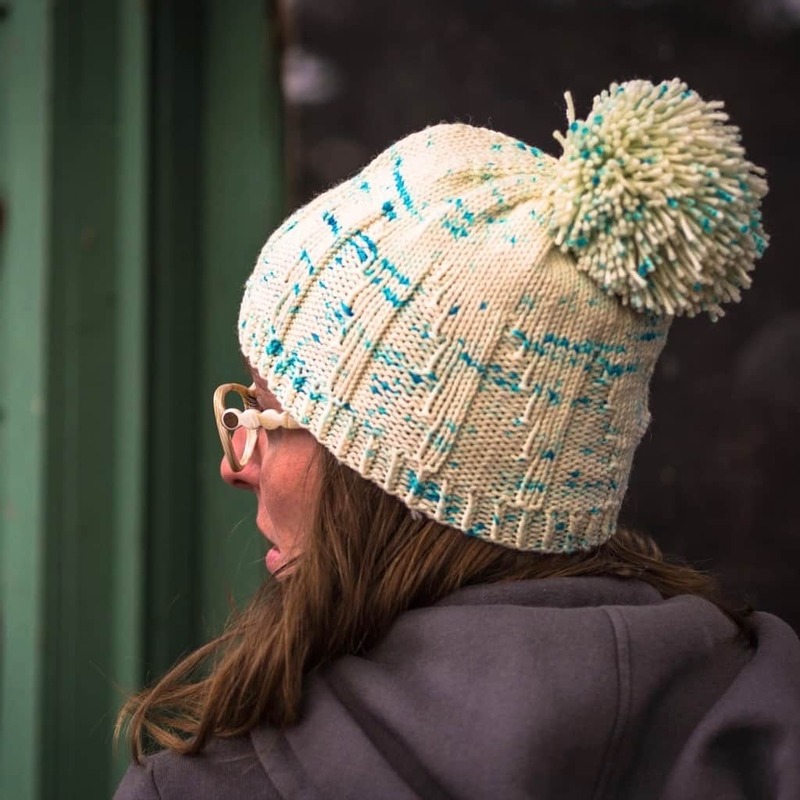 Take a lovely speckled yarn, a stepped-mountain stitch pattern, and add the biggest pompom your neck can support, and you’ve got Wintery happiness in a hat. Finished Measurements: Small (Medium, Large): 18 (20, 22)” circumference; 8 (8.25, 8.75)” from cuff to top. Yarn: approximately 120 (140, 160) yards worsted-weight yarn. I used Knitted Wit Worsted & Targhee Shimmer Worsted in Frozen. 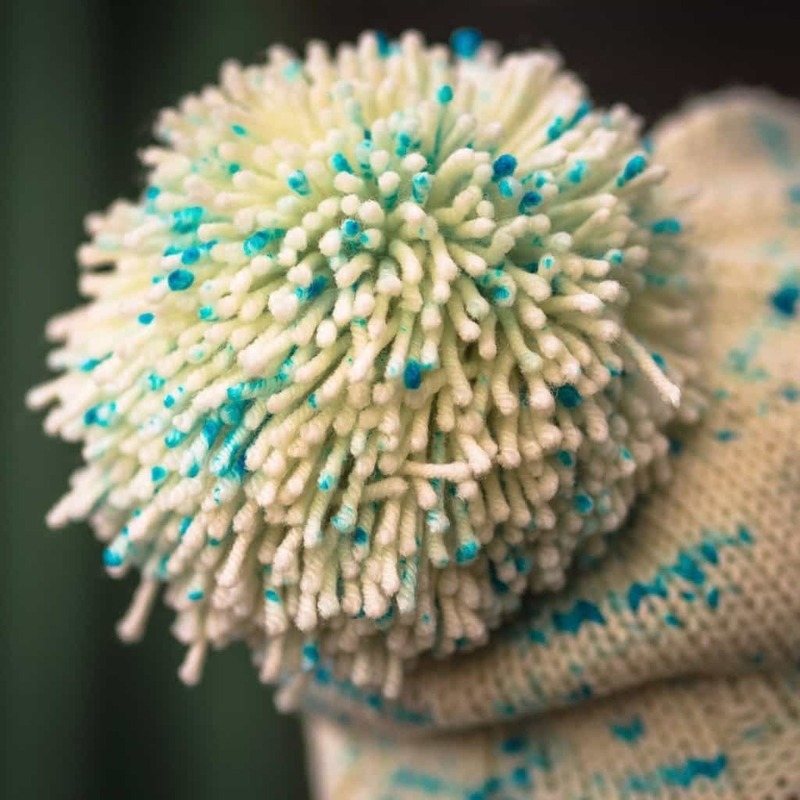 Needles: US7/4.5mm circular needle for small-circumference knitting, or size needed to get gauge and similar needles one size smaller for ribbing. Gauge: 21 sts & 30 rounds = 4″/10 cm in stockinette stitch, measured after blocking.